Howells Solicitors is one of the leading conveyancing law firms in Wales and we pride ourselves on the high level of service that we provide our clients. Our dedicated team of experts are on hand to make moving home as simple and as straightforward as possible, always ensuring that our clients receive the personal service that they deserve. We have fixed fees with no hidden extras. We are a multi award winning firm – the Sunday Times voted us the Best Large Conveyancer in the UK! We Communicate well with clients. We’re not a call centre and have qualified/experienced staff. We achieve fast completion times. Call us today for a breakdown of our fees. Please note: If you are purchasing a second home or buy-to-let property please review the examples included in the publication to see what stamp duty you would be liable to pay. 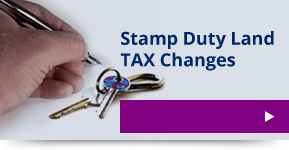 See updated publication (01/04/18) from HM Treasury regarding Stamp Duty Land Tax. As of 01/04/18 Land Transaction Tax replaced UK Stamp Duty Land Tax in Wales. Please see our blog on this here. Howells Solicitors secures new Law Society Quality mark. Howells Solicitors has secured membership to the Law Society's Conveyancing Quality Scheme - the mark of excellence for the home buying process. Please click here for more information. Low cost can mean low quality.... and it often does! When you purchase or sell a property, you are entering into a huge financial transaction. This will probably be the biggest financial commitment you will make during your lifetime. So when you’re choosing who will act for you, is price more important than service? Here at Howells Solicitors we understand price is important, but when it comes to purchasing or selling a property, you want to make sure that one of the most important transactions you are ever likely to make is 100% secure. Don't be fooled by low headline conveyancing fees. There is often a sting in the tail! Firms which charge such a low conveyancing fee focus on keeping their in house costs as low as possible. As margins are so small, they have to complete a large volume of cases in order to make it worth their while and they cannot afford to have an experienced solicitor dealing with this type of work. Knowledge and expertise are costly resources. Instead, it is highly likely your conveyance will be serviced by a case handler, unable to offer a specialised conveyancing service. At Howells Solicitors, we have a team of legal experts and support staff to provide you with the highest level of service. 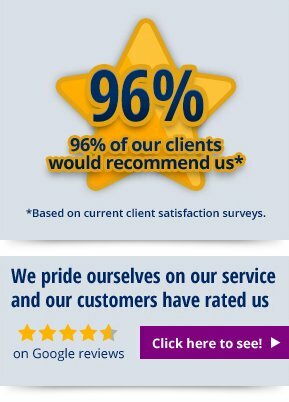 If excellent service is important to you – then don’t pay the cheapest price possible for your conveyancing! Why do you need a residential conveyancing solicitor? 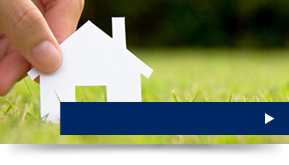 We combine an experienced and dedicated approach to residential conveyancing with a wealth of local knowledge. By acting quickly, keeping you regularly updated throughout the process and providing clear, straightforward advice, our experienced and professional team will provide the smooth service you need when undertaking a big life event of this sort. When you receive a low quote for conveyancing, you should check the paperwork for any extra fees hidden in the numerous pages of terms and conditions. Here at Howells Solicitors we provide expert legal advice in Cardiff, Bridgend, Swansea, Talbot Green, Caerphilly & Newport in Wales and we promise that there will be no surprises at the end of your moving transaction. The written quote we provide you with at the beginning of the transaction will list all the associated costs and disbursements (payments to third parties). 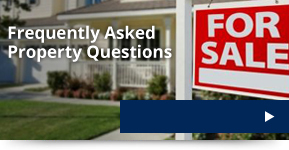 Are you selling a property? Would you like us to recommend an agent and also save you commission? This is a free service! At Howells we specialise in property transactions. Each month across the UK we complete property purchases worth over £275,000,000. A large percentage of our clients are either returning clients or are referred to us by estate agents as they trust us to complete cases quickly and efficiently. We deal regularly with estate agents across South and West Wales, so we know which agents provide their customers with excellent customer service, which agents sell properties quickly, who provide accurate valuations, which ones secure good offers, and also what their commission fees are. If you are interested in exploring this further please contact info@howellslegal.com including your contact information and all relevant details (terraced, semi-detached, leasehold flat/apartment, detached and the number of bedrooms) and address of the property. Speak to one of our professionals today to see what we can do for you. Find out how Howells Solicitors can make your life easier. Call us now on 02920 40 40 20 or fill in our online enquiry form and we will be in contact to provide you with a competitive quotation of our fees.